Join us to learn more about data-supported dietary, lifestyle, and complementary strategies to optimize cancer recovery and cancer recurrence prevention with Brieze Keeley, MD, of the UCSF Osher Center for Integrative Medicine. Dr. Brieze Keeley has a longstanding passion for wellness, integrative healthcare, and complementary medicine that deeply influences her work as an internist and palliative care physician. She helps her patients create individually-tailored healthcare plans designed to optimize their wellness, often in the setting of cancer and other chronic conditions. 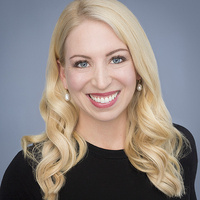 She particularly enjoys working with patients to implement healthier lifestyles, including through diet, mindfulness-based stress reduction techniques, and appropriate exercise. This event is open to non-UCSF patients as well. There is no fee, but pre-registration is required, as seating is limited. There is no fee, but pre-registration is required, as seating is limited.